In this episode #91, I discuss the power of outreach marketing! After six months of testing, Facebook is finally closing the door on the Explore Feed. 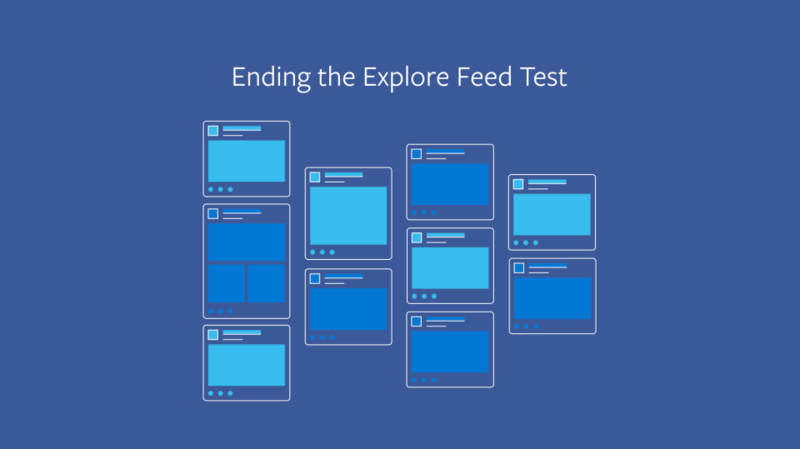 Writing on the Facebook Blog, Adam Mosseri, Head of News Feed said Explore Feed was a trial response to consistent feedback from people who said they wanted to see more from family and friends in News Feed. “The idea was to create a version of Facebook with two different News Feeds: one as a dedicated place with posts from friends and family and another as a dedicated place for posts from Pages. “To understand if people might like two separate feeds, we started a test in October 2017 in six countries. For many social media influencers, getting the blue verified tick on Twitter is the ultimate status symbol. I have to admit, I had applied but got no response. However, there is hope for you and I! Once reserved for major celebrities to indicate that the account was official and not fake, the trademark blue checkmark has expanded in recent years to include journalists and other public figures. Now, according to a CNET report, the social media giant wants to make its use even more prevalent. He said the company is working on a new process to verify people’s identity and ensure their credibility. With Facebook organic reach dying and cost per acquisition increasing, it might be an idea to look at LinkedIn, if like me, you are a B2B business. Their new eBook, The Secret Sauce to advertising on LinkedIn is packed with great insights and tips. In this episode, I interview Courtney Blair founder of Zippy Content. Courtney started her business out of necessity. When she was pregnant, desperate for work and unable to find it, she began contacting anyone and everyone she knew for work she could do from home. Lo-and-behold, someone had something for her to do. It was her dad. He had his own online business in the psychology realm, and he wanted to be featured on podcasts. Fast forward three years, and Zippy Content was born. Zippy Content now represents almost 100 entrepreneurs, authors, coaches, consultants from across the globe, and find them interviews on podcasts. Zippy Content is now expanding into a full-blown, multi-media PR agency. In this episode, I’m recommending the work of three outreach experts. OptinMonster is great for inbound leads, but its founder Syed Balkhi says that they get a lot of mentions for OptinMonster but some of those mentions do not link back to their website. His favourite tactic is to get his team to use BuzzSumo to identify these opportunities and reaching out to ask for the link. Syed maintains that if you follow up quite quickly your success rate for getting links is high. Dubliner, Ian Cleary, has launched a new tool called Outreach Plus which already made it to Tool of the Week on this podcast. Adam Connell of Blogging Wizard says you need a compelling pitch and a mutually beneficial offer to get bloggers and online sites to publish your content. A big fan of outreach, Adam says instead of finding a prospect and pitching them right away, you connect with them first on multiple occasions and through different platforms. The idea is that when someone receives an email from somebody they recognize, they’ll be far more likely to open it. Most bloggers will get loads of emails each week from people they don’t know. And most of them make zero effort. Adam recommends subscribing to their email list and use that as a way to start a conversation directly. Just don’t make the mistake of subscribing and replying to their first email to you with a pitch. This week’s question comes from Jayann who works in a B2B media company targeting senior leaders for media training. She wants to know how to target them with outreach. In today’s JSB column, I share my personal outreach approach to hot prospects. Position myself as the go-to expert among public sector marketers globally, build brand beyond Ireland, and build a hot list of 1000 leads in 90 days. Content marketing and outreach 101. If you want help you’re your outreach strategy, then get in touch. Simply email joanne@digitaltraining.ie. Tune into the podcast to hear my approach! The social media tool that saved my working week this week is Ahrefs.